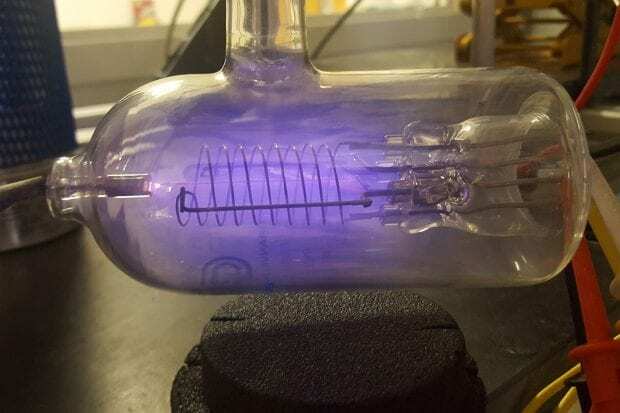 Nature whispers its stories in a faint molecular language, and Rice University scientist Laurence Yeung and colleagues can finally tell one of those stories this week, thanks to a one-of-a-kind instrument that allowed them to hear what the atmosphere is saying with rare nitrogen molecules. 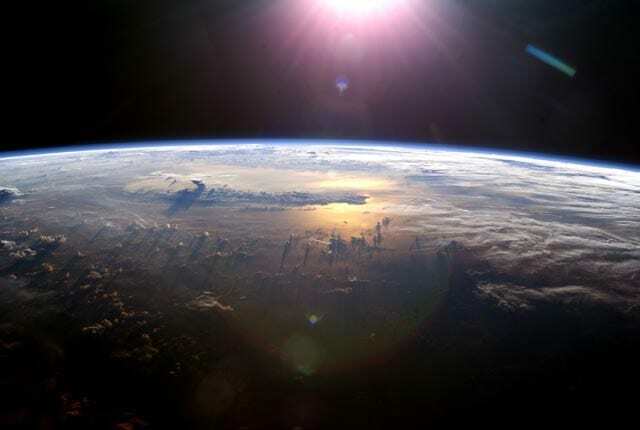 Yeung and colleagues at Rice, UCLA, Michigan State University and the University of New Mexico counted rare molecules in the atmosphere that contain only heavy isotopes of nitrogen and discovered a planetary-scale tug-of-war between life, the deep Earth and the upper atmosphere that is expressed in atmospheric nitrogen. The research was published online this week in the journal Science Advances. The story revolves around nitrogen, a key element of life that makes up more than three-quarters of Earth’s atmosphere. Compared with other key elements of life like oxygen, hydrogen and carbon, nitrogen is very stable. Two atoms of it form N2 molecules that are estimated to hang around in the atmosphere for about 10 million years before being broken apart and reformed. And the vast majority of nitrogen has an atomic mass of 14. Only about 0.4 percent are nitrogen-15, an isotope that contains one extra neutron. Because nitrogen-15 is already rare, N2 molecules that contain two nitrogen-15s — which chemists refer to as 15N15N — are the rarest of all N2 molecules. The chemical processes that produce molecules like N2 can change the odds that “isotope clumps” like 15N15N will be formed. In previous work, Yeung, Young and colleagues used isotope clumps in oxygen to identify tell-tale signatures of photosynthesis in plants and ozone chemistry in the atmosphere. 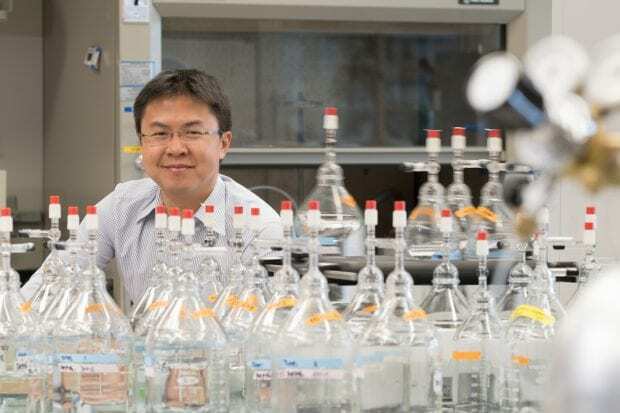 The nitrogen study began four years ago when Yeung, then a postdoctoral researcher at UCLA, learned about a first-of-its-kind mass spectrometer that was being installed in Young’s lab. The difference in mass between nitric oxide and 15N15N is about two one-thousandths the mass of a neutron. 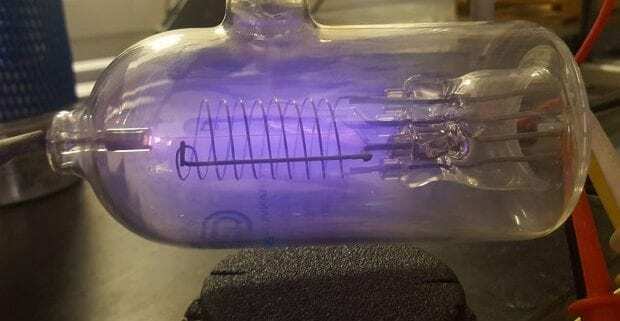 When Yeung learned that the new machine in Young’s lab could discern this slight difference, he applied for grant funding from the National Science Foundation (NSF) to explore exactly how much 15N15N was in Earth’s atmosphere. To find out if this was the case, co-authors Joshua Haslun and Nathaniel Ostrom at Michigan State University conducted experiments on N2-consuming and N2-producing bacteria to determine their 15N15N signatures. Co-authors include Huanting Hu of Rice, Shuning Li, formerly of Rice and UCLA and now with Peking University in Beijing, Issaku Kohl and Edwin Schauble of UCLA and Tobias Fischer of the University of New Mexico.